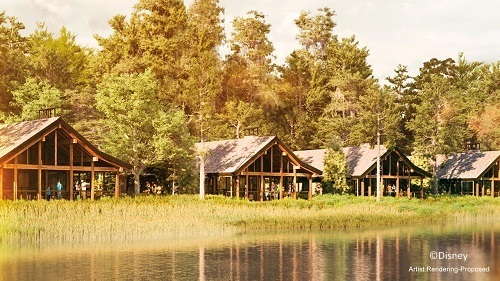 POSTED: Fri, 03/03/2017 - 17:00 | POSTED BY: Traci C.
The Copper Creek Villas and Cabins at Disney's Wilderness Lodge are slated to open on July 17. Sales for the new Disney Vacation Club property will start on March 8 for current DVC members and general sales will open on April 5. The design of the Copper Creek Villas and Cabins was inspired by the mining and railroad history of the Pacific Northwest and the villas and cabins feature "rustic elegance" with "modern designs." There are 184 "modern, nature-inspired" vacation homes including Deluxe Studios, one- and two-bedroom Villas, and three-bedroom Villas that sleep up to 12 guests. All villas include kitchen areas, expanded storage areas, and private patios or balconies. The 26 waterfront cabins sleep up to eight and feature two bedrooms, two baths, large dining and living areas, floor-to-ceiling windows, exposed wood beams, and an interior-exterior fireplace. Each cabin also has a hot tub on the porch. 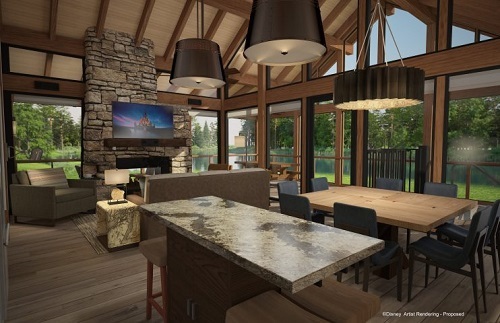 Other new additions at Disney's Wilderness Lodge include the recently-opened Geyser Point Bar & Grill, the soon-to-open Boulder Ridge Cove Pool at the Boulder Ridge Villas, and the Salon by the Springs (also opening soon). A new sports court, BBQ pavilions, and a refurbished fire pit and movie area are slated to open this summer. 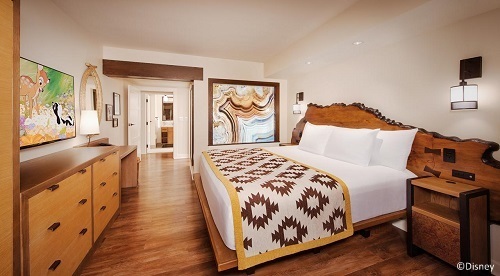 Are you excited about the new Copper Creek Villas and Cabins at Disney's Wilderness Lodge? Let us know in the comments. I really wanted to get over there and check out the new bar this week. But alas, it was not in the cards for me. Maybe next year.